We’re passionate about supporting and building confidence loops, creating lasting change in the world through education and altruism. Our focus is to move world-leading knowledge and skills from the mind to the hands allowing you to use simple techniques to help others in times when we face our greatest needs, at time when we are wounded, at times we need help and the kindness of others, when we are wounded and at our most vulnerable. Building resilience in local communities by sharing what we know. We are here to help, not just in training and education but by reaching out a hand to help others as well. Generations in the caring professions means we want to be more than a learning hub, we want to help others. The Buy one Give one program helps us to help others internationally. 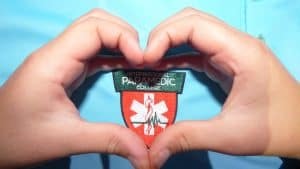 International Paramedic College are first aid and Paramedic training experts and are a leading independent provider of accredited first aid training courses locally. We offer professional training for groups or individuals. All our courses incorporate best practice and comply with the latest guidelines from the Australian Resuscitation Council and the European Resuscitation Council (ERC) Guidance on First Aid and comply with the International Guidance from ILCOR. Like the Red Cross and St John Ambulance, we are fully regulated by The Australian Governments Skills Quality Authority (ASQEA) to provide the accredited qualifications we deliver. Our regulation and oversight is through the national government accreditation body for our accredited qualifications. We have thousands of delighted clients who have shared their outstanding feedback on Google and Facebook. We are confident we have the most comprehensive first aid courses. Read our reviews on facebook or google. The feedback from our courses is incredible you can read the rave reviews here of what others are saying about us and our unique approach. Our ability to take the complex and deliver it simply with an education al style designed to promote simple plans to focus on when you need them in an emergency situation. Like everyone, we like a pat on the back and its so nice to read the kind words people have to say about the passion we infuse into what we do. Think how often you ever write a testimonial about a learning experience and you will appreciate the motivation behind the incredible feedback. Our links with registered training organisations and partner companies allow us to offer an evolving variety of courses, supplies and services that can fit your needs. We are industry experts in the emergency medicine prehospital care field, it’s what we do. We are not sales staff trying to funnel you into things and we don’t have a glossy brochure. We just deliver high quality, professional training, from Intensive Care level Paramedics and professional clinicians to you at a great price. Warren Buffett said “Price is what you pay, value is what you get” and we believe in training for more than competence and compliance. You pay no more, but you get much more. Education should provide a prospective transformation, not a tick, flick and take the cash by people who have no real experience or skills. If you are wanting a “guide on the slide” approach and to be just checked off on something then don’t call us. Our courses are practically based and give you the opportunity to practice your skills and knowledge.We are the real deal. 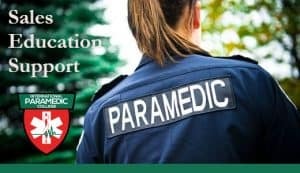 International Paramedic College are local First Aid Experts and a leading independent provider of exemplary and fully regulated local emergency medical and paramedical training courses, we offer outstanding training for groups and individuals. We can design specific workplace training or group training and deliver it at your facility, targeted to your specific needs. We are members and active supporter of Paramedics Australasia, the peak body for paramedics in Australia. We support their CPD program and our educational manager is active on the NSW committee and supports the call for national registration and protection of title legislation in NSW.